Go to app.verdigris.co and click the Settings icon in the top-right corner. Then go to Building Profile in the sidebar menu. a) Make sure your Address and zip code are correct to ensure your data are in the right time zone and to get the correct weather data. b) Add your Building Size and Industry to enable Energy Use Intensity (EUI) and benchmarking. Verdigris uses your rate schedule to provide better energy cost estimates. OpenEI has compiled an open database of utility rate schedules. Find your rate schedule tariff ID in the database and add it to your account to get more precise cost estimates. 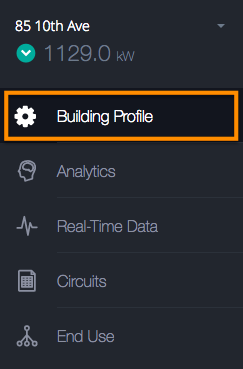 To begin, navigate to your Building Profile page as described in the steps above, and find the Rate Schedule section. Next, find your tariff ID. Or, go to OpenEi, and select the “Apps” tab at the top of the OpenEI website. Step 3: Find your rate and click View on the right. Step 4: From the “View Rate” page, copy the ID from your browser (The ID appears as a series of numbers and letters at the end of the URL following /view/ ). Step 5: Return to the Building Profile page in app.verdigris.co and paste your ID in the OpenEI Tariff ID field. If you would like further assistance, please reach out to our team through the live chat bubble in the corner or email us at support@verdigris.co.